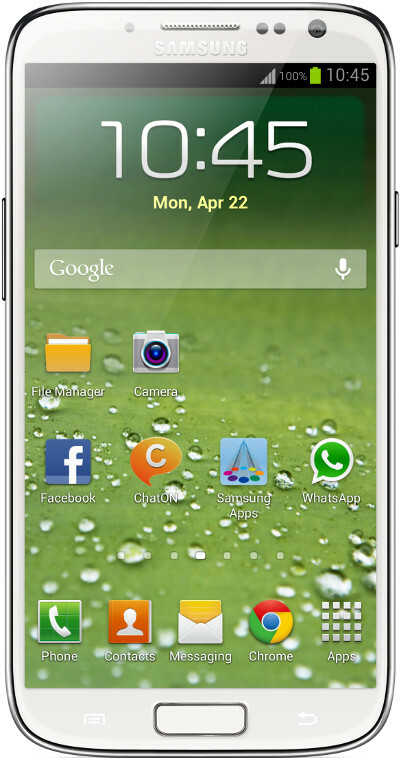 smartphenom.com: Samsung Galaxy S4 vs HTC One – Which one will replace my trusty iPhone 5? 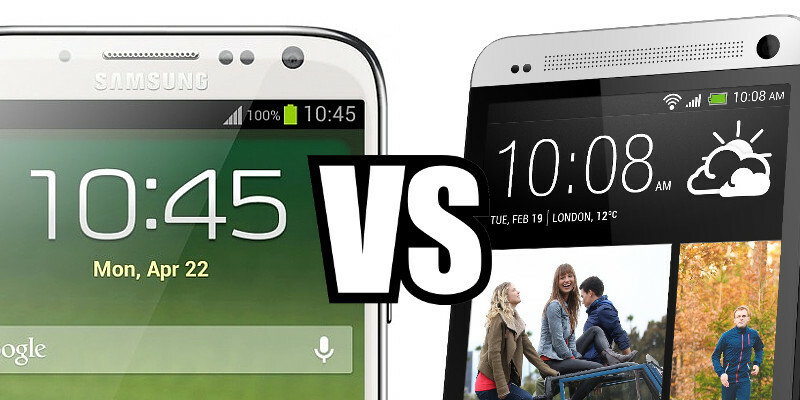 Samsung Galaxy S4 vs HTC One – Which one will replace my trusty iPhone 5? I have a history of changing my handsets as often as my limited funds (and my wife) will allow and I tend to flip flop between Android and iOS handsets as the previous one becomes humdrum from every day use. As handsets become more standard in the useful features they offer I'm finding myself drawn more to handsets with something a bit different or ones that satisfy my obsession with accessories. At the moment I am an iPhone 5 user since switching from my HTC One X last September. The handset does everything I need it to do and I find Photostream to be a major draw as many of my family use iOS devices and share pictures of their children, pets etc. This feature alone is what is stopping me looking to Android as I start to feel the pull of the new flagship handsets on the other side of the fence. This handset could be called the iPhone of the Android world due to its great build quality and screen. The camera performance looks to be great although I have only had chance to play with one of these in the phone shops and not try it out in "real world" situations. The main attraction of this handset for me is the Aluminium construction. When I pay £500+ for a handset or take out a 2 year contract I want something that feels great and I know will last the term of the contract (or at least until I get bored and move on). HTC have really excelled with this handset and how great it feels in the hand. The sound quality on the HTC One is again excellent with the two large front facing stereo speakers. I am not the kind of person to be blasting out my taste in music in public like some people out there but I do enjoy watching YouTube videos of new tech and cases etc whilst at home and the One would be perfect for this. The screen on the One is nothing short of incredible with a higher Pixel Per Inch (PPI) count than the iPhone 5′s retina display and it also weighs in with a 1080p HD resolution in its 4.7 inch frame. The camera on the One features a 4mp sensor which at first glance sounds low spec when compared to the competition but the sensor features what HTC are marketing as “Ultra pixels”. This is really a marketing term which means the camera features less megapixels but larger ones meaning better low light performance. Those of you out there thinking you wouldnt buy a handset with “only 4 megapixels” need to think about what megapixels actually mean. For many years, phone manufacturers have increased the pixel count to try and beat the competition with their spec sheets. My DSLR has 18 Mega pixels on a large sensor meaning it gives good performance in low light with very little “noise”. When you reduce the sensor size but keep the pixel count high you will sacrifice low light performance. You also need to think about what you do with your photos once you have taken them. I would say with confidence that 99% of people reading this take photos to keep on the phone to show friends, upload to facebook and maybe print off on a 6×4 photo. I can also say with some confidence that most of the people reading this have never printed their phone photo off on anything larger than A4 or made a poster out of their image. So why do you “need” more megapixels? Other negatives for the HTC One include the lack of Micro SD support and the fixed battery which limits you if you are an enthusiast who uses their phone for hours each day. Now I acknowledge that these negatives can also be applied to the iPhone but I find the battery life more predictable on the iPhone with its more limited multitasking and I tend to use iTunes Match which stores my music in the cloud and negates the need for a massive onboard storage. That said, the HTC One does come with either 32GB or 64GB on board which should be more than enough for most people out there. 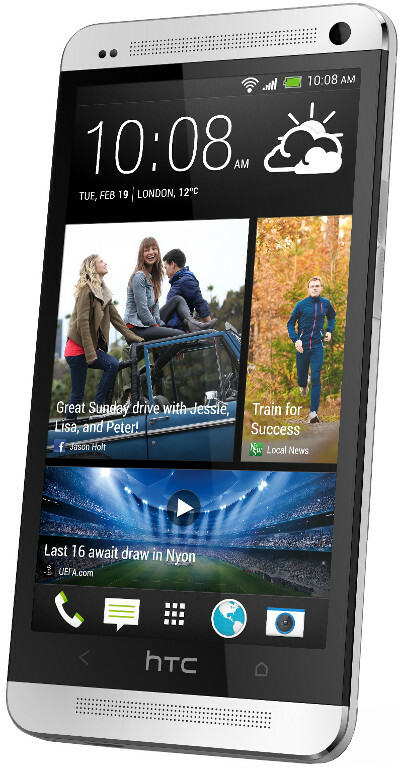 The UK model comes with the much revered quad-core 1.7GHz Qualcomm Snapdragon 600 processor backed by a full 2GB of RAM which should make the Android 4.1 software fly. I will be honest and say that the launch event for the S4 made me cringe and I couldnt watch more than the first 15 minutes. I had a Galaxy S2 prior to the One X and this held my interest for 18 months due to its specs at the time and the thin, light body. The ONLY reason I upgraded to the HTC One X was the fact that I dropped the handset and chipped the “chrome” (read painted plastic) bezel which to me wrote off the phone. I cannot stand when my phone gets scratched and even a small scratch can mean that I feel I need a new phone and this is where my obsession for protecting my phones with cases has come from. the galaxy S3 was announced, I was one of the first to say I didnt think it would be popular due to its flimsy back panel and plastic build quality (2 things that annoyed me with the S2) which is why I opted for the more solid feeling HTC One X. This goes to show how wrong I can be as the Galaxy S3 was much more popular than the One X and has become one of the most admired handset out there to many. When the Galaxy S4 was announced I was praying for Samsung to step up and release a phone with the specs of the S3 but updated and with a metal body and was disapointed when this didn’t really happen. But then I started thinking... My iPhone has been in many cases since I purchased it (nearly 30 at last count) and I have still managed to scratch the bottom so is metal the best option? The S4 is very light (10g lighter than the already lightweight S3) and features a massive 5 inch HD screen which also has a higher PPI count than the iPhone retina display. From the videos I have seen, the screen on the S4 is beautiful and I cannot wait to give one a try. Rather than upping the specs too much, samsung have again concentrated on their Touchwiz overlay by bringing many software “improvements” such as eye tracking that automatically pauses if you look away when watching videos etc. To be honest many of the software improvements they announced are gimmicks to me that you may use once to show friends what your new phone can do that theirs cant and then never use again. This to me is not where the S4's strength lies. The camera on the S4 is a good offering and Samsung have obviously gone the traditional route of more megapixels equals better camera as the S4 sensor weighs in at 13MP which matches the Sony Xperia Z. I would love to get my hands on an S4 to see how it performs in low light up against the One. I would have preferred Samsung to put out the S4 with a lower pixel count and better low light performance but I will not make judgement until I have tried this camera for myself. The processor in the S4 is the same Qualcomm Snapdragon 600 chipset but it will run at a faster 1.9GHz clock speed with the same 2GB of RAM as the One so Android should really fly. Now for where the S4 starts to really appeal for me... Not only does it feature a 2,600mAh (that’s around 500mAh bigger than the S3′s battery) but it is removable meaning you can invest in a spare or two and never run out of juice. The S4 also has a micro SD slot on top of the 16GB, 32GB or 64GB on board depending which you opt for. Both these features mean the S4 is a versatile handset that will last the day even under heavy use. The last great advantage the S4 has is that it replaces the S3. By this I mean that accessory manufacturers have seen how popular the S3 was and are sure to release loads of great cases for the S4. This fact alone makes the S4 attractive to a case addict like me as I know I can get access to cases to help keep the phone new and interesting. This also makes the lack of a metal body a non-issue to me as I will have the phone covered at all times anyway and the plastic body means the phone is very light even with a case installed. Both of these phones are not perfect as neither are waterproof like the Xperia Z and neither have wireless charging out of the box like the Lumia 920 but both are solid flagship handsets that will make for a very interesting battle in sales. But which one would I go for if my bank manager and wife would let me? This is a very difficult decision which I keep changing my mind on but I think I would have to go for the S4. No, wait! the HTC One... or should I have the S4?! You get the picture. Feel free to leave your comments below as to which you would go for and why. Author: Dave Lindsay studied Business Studies at The University of Huddersfield until 2004 and worked in various organisations including the NHS in IT based roles. He wents through a lot of mobile phones as the development at that time was booming and have had handsets from all the major manufacturers including Palm, Symbian, Pocket PC/Windows Mobile, iOS and Android. He's now running his own blog. Photos: Shot by HTC and Samsung.